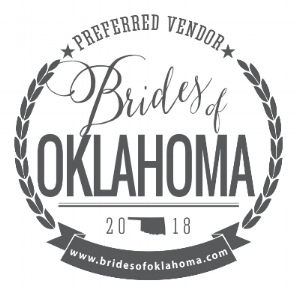 June Sixteenth is an events and floral design studio located in Oklahoma City, owned by two friends who decided to turn their passion for event planning and floral design into their dream job. Merging our two different styles, we design and plan anything from romantic vintage chic to midwest modern - and everything in between. We believe that our refined sense of style, attention to every last detail of your celebration and our ongoing desire to give back to the community are what make us the ultimate team. At June Sixteenth Events | Florals, we aim to create a beautifully authentic experience that represents you, and one that you and your guests will never forget. Sarah specializes in creating authentic and natural floral design, drawing on the unique inspirations of each client. Having a love for design at a young age, she always knew that sharing this passion with others was a future goal. After attending the Sinclair and Moore Workshop, hosted by the ever so gracious and inspirational Steve Moore, she was ready to lace her passions for floral design and the element of event design together, to ultimately make her client's dreams come true. Alongside June Sixteenth Events | Florals, Sarah enjoys chasing after her sweet little girl Lhotse, and an occasional refreshing glass of bubbles. Jade's specialty lies in creating events that are thoughtfully unique, fresh and most importantly, fun. Her simple, but elevated approach to style and design are what makes her planned events truly special. Through her experience in interior design she has learned how to beautifully create events that are an experience. She enjoys every aspect of event planning, is the checklist queen, and has a genuine passion for making her client's dreams a reality. Alongside June Sixteenth Events | Florals, Jade's joys include her pups - Napoleon, Cheeto, and McGee, reading, cooking, and travel. She's also passionate about being a Big Sister with Big Brothers Big Sisters and enjoys giving back to her community through various charitable works.